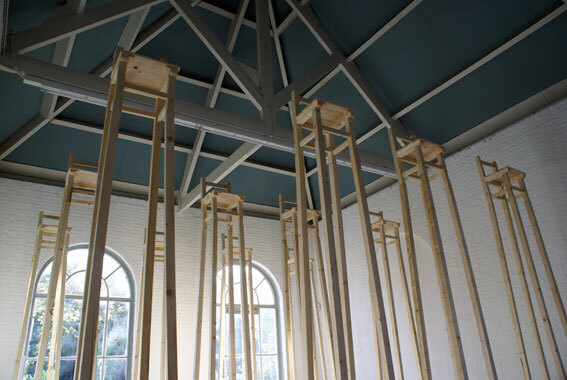 Aeneas Wilder: exhibitions Untitled # 150, Bewaerschole, Burgh Haamstede, The Netherlands. 30th May - 11th July, 2010. The exhibition space at the Bewaerschole is a former school building for orphaned children. The installation was created with specific reference to the buildings former use. 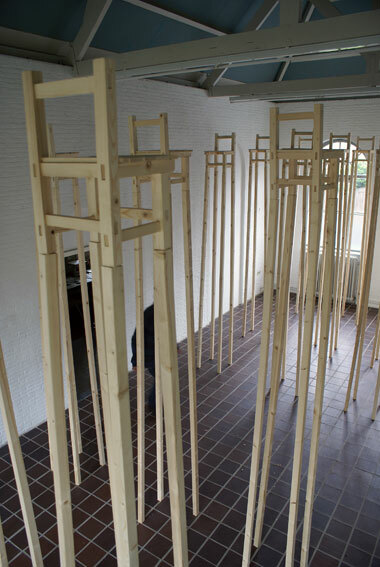 The installation consisted of 24 chairs. The chair design was a copy of a standard Japanese elementary school chair, from around 1890. 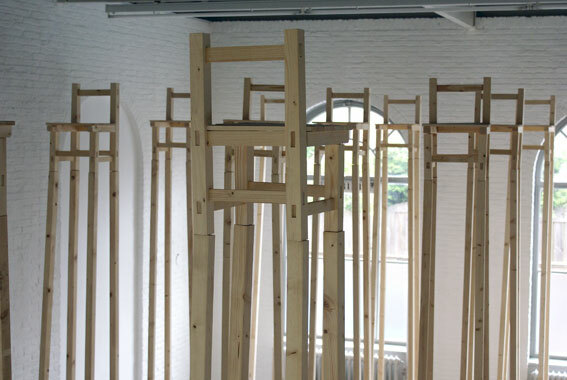 Each chair was balanced on the top of 4 x 3m long lengths of wood. Over the course of the exhibition it was expected that some of the chairs would fall.